China is funding the development of the world's first prototype supercomputer for exaflop computing. The speed of the system will be a quintillion operations per second. Such a capacity the country will send to support the program of marine research. In the ranking of the world's most productive computers, presented in June at the International Conference of Supercomputers in Frankfurt, China's designs belong to the first two lines . They are occupied by Sunway TaihuLight and Tianhe-2, which have a capacity of 125.43 petaflops and 54.9 petaflops, respectively. Fixed in the leading positions, the PRC was interested in creating the world's first ex-SF supercomputer capable of performing billion billion calculations with floating point per second. This power is useful for resource-intensive research in the South China Sea. To do this, China is ready to finance at least three competing development teams: Sugon, the Defense Scientific Technical University of the PLA, which developed the supercomputers Tianhe, and Sunway, engaged in TahiuLight. The authorities want to choose a project that will provide the highest performance and will be ready for immediate use after creation. It is expected that spending on a supercomputer will be from one to two billion yuan (150-300 million dollars). The base for the large-scale construction becomes < tgsrcut> Qingdao City, the largest port in Shandong Province, as it has many institutions associated with ocean research. In addition, the world's largest marine data center is being built here, which will be directly linked to the oceanic monitoring system. China <a rel="nofollow" href="http://www.scmp.com/news/china/policies-politics/article/2025456/chinas-deep-sea-mission-mine-wealth-beneath-ocean-floor"> Invested <tgsrcut > significant funds in deep-sea mining and <a rel="nofollow" href="https://www.weforum.org/agenda/2017/06/china-new-silk-road-explainer/"> implements the global project of the new Silk ways. As a result of all initiatives, the country will inevitably need to collect and process huge amounts of data. Researchers are sure that exaflop calculations will help to carry out complex ocean modeling and solve complex problems. Feng Liqiang, head of the Marine Science Data Center in Qingdao, believes that the supercomputer will be able to collect all the data related to the marine environment for a comprehensive analysis. As a result, China will achieve oceanic simulations with an unprecedentedly high resolution, which will help to generate reliable forecasts in such issues as climate change on the planet. 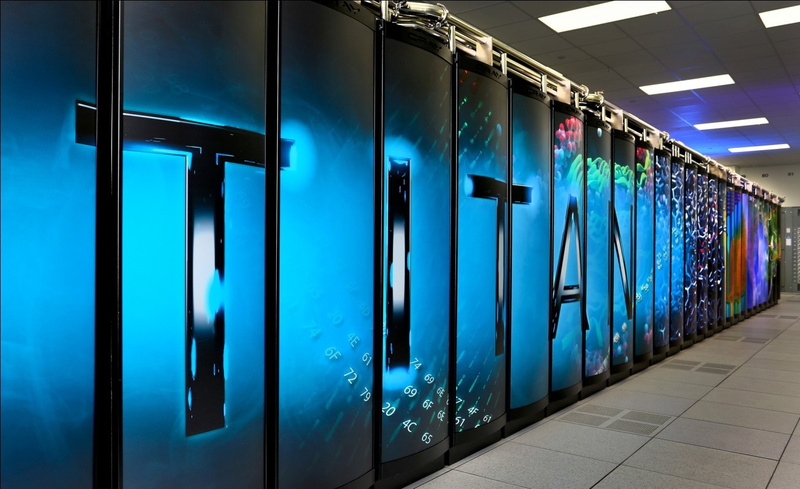 Since the creation of a supercomputer is of strategic importance, and Titan of the Oak Ridge National Laboratory, the USA, is on the fourth line in the fastest device rating, in June the Department of Energy of the States decided to close the gap with China. It is banned Intel to supply its fastest chips for projects on the creation of supercomputers in China. Despite this, China announced the launch of the prototype device Tianhe- 3 for genetic studies in the first quarter of 2017 with the release to full capacity by 2020. Today in the country promise demonstrate all the capabilities of the new exaflop computer in 2019. At the same time, in August, the Oak Ridge National Laboratory the beginning of the Summit assembly IBM-NVIDIA, which has a chance to become the most powerful supercomputer in the world. It is expected that the system will be available for scientific research by January 2019. 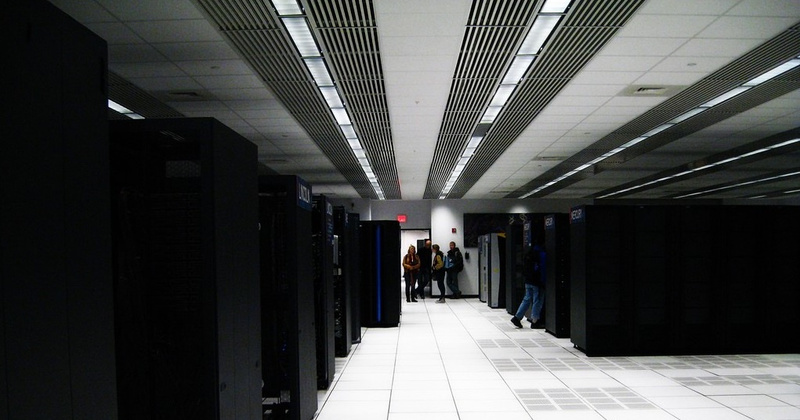 Eksaflopsnye supercomputers will give impetus to science, allowing to create high-precision simulations of biological systems and to form realistic models for constructing reliable forecasts (climate, social economy). According to Tom's opinion Thom Dunning, professor of chemistry at the University of Washington, ex-supercomputer supercomputers are closely linked to national security, as law enforcement organizations collect huge amounts of data that require processing. Due to the greater processing power, this information can be quickly analyzed to assess and predict potential threats. On the road to launching a supercomputer, both China and the United States face several global problems. Such devices give off a huge amount of heat, which does not allow the computer to reach maximum performance and brings with it huge electricity bills. The second point is the development of an architecture that would effectively interact with hundreds of thousands of processors and memory chips. The third difficulty is the lack of software that can scale up to one quintillion calculations per second. Steve Conway, from the research agency Riken, notes , that" race for ex-flops ", one way or another, moves forward the technology of supercomputers and artificial intelligence. He predicts that the existing problems will be overcome, and the first ex-supercomputer supercomputers will appear in the list of 500 fastest computers in 2021, and by 2023 will become a common phenomenon. Already today, the Chinese Sunway TaihuLight achieved simulation of the universe with 10 trillion digital particles, and scientists from the University of Zurich re-created 25 billion virtual galaxies consisting of 2 trillion digital particles. In any case, in the race of countries for exaflops will benefit primarily science.